Hello and welcome to Of Faeries and Fauna, I am excited to be participating in the 12 Days of Christmas Blog Hop for the very first time! I need to send big thank you to Shirley from Intelligent Domestications for organizing this entire hop. It is a huge job and it was very kind of her to include me. We have 12 fun-filled days of Christmas projects to share with you. For today’s post I made a Sweet and Sour Pork recipe. One of our family traditions that really has nothing to do with Christmas is having a Movie binge-watching weekend and I would make foods to go with the theme. Although we did this often I never once considered it for Christmas. 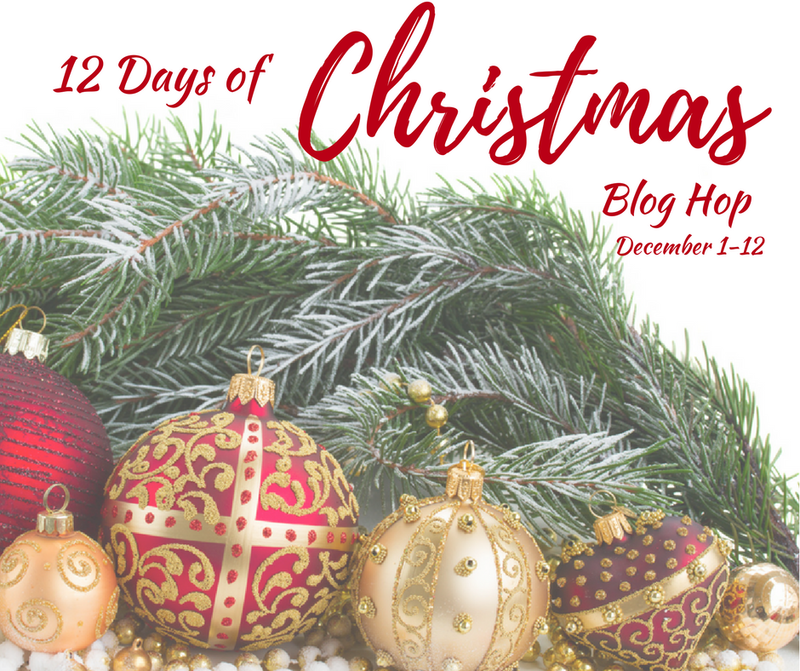 Joining the 12 days of Christmas blog hop made us think of it. Over the Christmas vacation, it will be great to just binge watch two or three Christmas movies and maybe eat the themed food. One of my favorite Christmas Movies is Scrooged. In the movie, Bill Murray’s character remembers where him and his oh so better half Claire meet and share Chinese food. I think its very different from the average Christmas fare so I made some for my brood. I am going to share a couple of my homemade recipes for Sweet and Sour Pork and Fried Rice. I learned to make Chinese food eons ago with a Chinese Canadian Chef from Vancouver, he had a show called Wok With Yan. Definitely a video from the 80s where he is making the recipe for Sweet and Sour Pork. This is my version that is almost identical. While your deep fry oil is heating up. Cut the pork into small chunks place in a bowl. Add the egg, salt, and cornstarch and mix together until very lightly battered. Be very cautious and only fry a few pieces at a time so the oil does not overflow the fryer. Deep fry the pork pieces a few at a time until golden and set aside on paper towel. Repeat until all the pork is cooked. While the pork is deep frying. Add to a wok or large pan. Add vegetable and cook until sauce thickens and veggies cook a little bit (5 min). Add the cooked pork. Toss and serve. This sweet and sour pork recipe freezes very well. I actually made two batches of this expecting to freeze the second batch when the brood ate it all. They said it was too good to leave any. I made another easy side dish that is standard Chinese restaurant fare. The most important thing I know about making fried rice is you need to do it with real rice (not instant) that has been cooked and left until cold. Otherwise, it goes kind of pasty. Heat the oil in a wok or very large frying pan. Add the vegetables and cook for two or three minutes. Add the soya sauce and wine. Add the rice, make sure to break it up into individual grains with the spatula. Stir it around until the rice is hot and covered in the sauce. Place in a bowl. I put sesame seeds on mine but its totally optional. My favorite dish to eat. This looks like a great recipe and what a great idea for a family event. Actually, I made a double batch of this for my family and they simply inhaled it. I set a goal to spoil the family more over the holidays and of course, they want me to cook this again. h well it’s easier than trying to figure out something new they may like. I love Scrooged! We order Chinese fairly often, I can’t wait to try to make it at home! I love a night in with Chinese food and movies… I haven’t seen Scrooged in years! Oh yum! This looks so good. I love Scrooged, especially for the graphics. I love that you shared a classic recipe. They are the best. We do Margarita Chicken for Christmas so I’m on board for the different family traditions. This would be a great movie night dinner! Scrooged is a fun movie! Oh, my your recipe for sweet & sour pork looks delicious! Thanks for the trip down memory lane too – I totally forgot about Wok With Yan. We plan on enjoying holiday movie night too but sadly our sweet & sour pork will probably be take-out. I’ve pinned your recipe though! This is such a great idea to watch movies and eat a related dinner! That would be a fun tradition to start!